Fire sprinkler heads are a vital part of your fire protection system. They’re one of the most important components when it comes to extinguishing a fire before it has the chance to spread. That’s why you should always take proper safety measures to ensure your sprinkler heads and system remain in optimal condition. 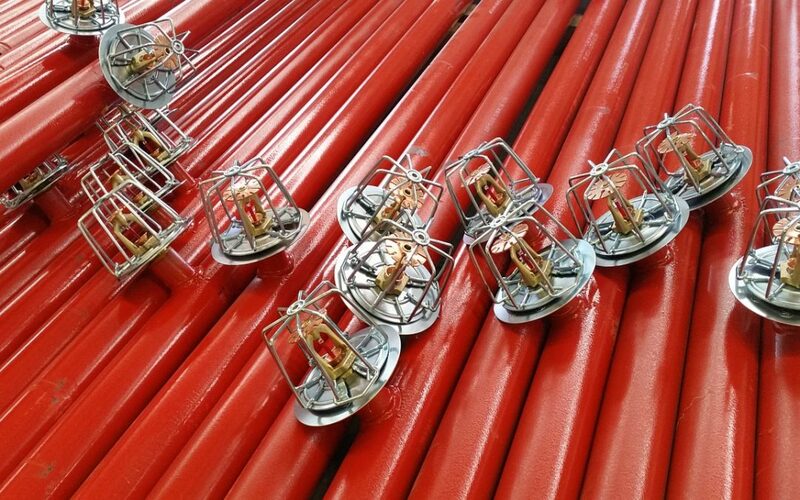 As a part of keeping your fire sprinkler system up to par, you should always have backup fire sprinkler heads onsite. This will help you comply with the proper safety measures and regulations. In this blog, you’ll learn why it’s so important to have spare sprinkler heads at all times. Fire sprinkler systems are equipped with heat bulbs that shatter once they reach a certain temperature. Once the bulb shatters, the sprinkler head can open and water can flow out to extinguish the fire. However, because the bulb shatters, this means you’ll have to replace your sprinkler heads replaced right after the fire occurs. It’s also best to have your sprinkler system inspected on a regular basis to ensure everything is working. If your sprinkler heads are covered in dust or debris, then they might not work as effectively. Also if your heads have been painted or tainted in any way, then they will need to be replaced immediately. That’s why it’s essential to have spares ready to go at your disposal. The National Fire Protection Association (NFPA) enforces regulations to ensure fire sprinkler systems are up to code. Generally, the NFPA requires that building owners have at least six backup fire sprinkler heads onsite at all times. The number of spare sprinkler heads that you should have will vary based on how many sprinkler heads are used in your fire sprinkler system. For example, if your building has 300-1,000 heads, then you should have 12 spare heads. If your building has over 1,000 heads, then you should have at least 24 spare heads. In order to keep track of your spare heads and ensure your building is up to code, it’s best to document what type of heads you use, how many you have, and when you bought them. This documentation can be easily managed and tracked by your fire protection company. Frontier Fire is the number one choice for fire sprinkler services in the Rocky Mountain region. We can handle everything from installations to maintenance and repair services. We’ll make sure your building is up to code and if you’re ever in need of a fire sprinkler replacement, just give us a call.